I’m on the KTX (Korea’s high-speed train) and the buddy comes around….wait….I have to cancel this. Was about complain about needing a card buy a drink from the cart on the train when he came back and suddenly it was ok to use cash…..smh. Author DragonDonPosted on June 6, 2014 June 6, 2014 Categories ContentTags Korea, KTX, money, South Korea, travekLeave a comment on Really Korea? Really? Now, South Korea has emerged as a behind-the-scenes actor in the crackdown. The embassy admits that in recent weeks it has been running a backdoor campaignto protect Korean business interests. This campaign has included turning to the brutal and battle-hardened Cambodian military to implement security measures. Seoul and Phnom Penh maintain a brotherly bond that goes beyond money. South Korea’s previous president was also an economic adviser to the Cambodian prime minister. Korea was the first democracy to congratulate the ruling party on an election July 2013 election win that human rights groups say was loaded with irregularities — and that sparked the wave of labor and political demonstrations that ended late last week. I kinda knew that locally the Korean Gov’t was still way behind in dealing with Unions and human rights issues but see/read about this in other countries it is now obvious to me they are no better than countries like the US. Unye Jung As a Korean, I’m truly sorry to Cambodian people for inhumaine reaction of Korean gouvernment. I’m deeply touched by your action in group against electoral corruption and injustice. We Korean fight against corruption of presidential election too. But no Korean principal press delivers the news against the gouvernement on TV nor radio. I feel really shame on Korean soldiers engaged to this violent repression. I support you and wish your victory. Is the US Military really here to help South Korea? That is the question and there is an obvious answer to this….if you look closely. That all sounds fine and good right? I mean, ‘big brother USA’ is here to help. Let me put this another way. The Korean war ended in 1953. That is 60 years ago. You are telling me that in 60 years, you have not been able to help “strengthen the South’s ability to deter threats from North Korea.”? So, either the US has the most pathetic military in the world, or they are simply here for the money. You tell me. they are also setting up a panel to review the possibility of delaying the transfer of wartime control of South Korean troops from Washington to Seoul. That handover is currently slated for 2015. Umm….yeah. 60 years doesn’t seem long enough to get things setup does it? Author DragonDonPosted on October 4, 2013 Categories ContentTags Korea, military, money, South Korea, USA, war1 Comment on Is the US Military really here to help South Korea? Too many people go on vacation with credit cars and even loans, then spend years trying to pay it off. I once heard T Harv Eker say “You are borrowing from your future to pay for your past!” Since we left Canada, we have only owned pre-paid Mastercards. I feel these are a much more sane way to use a credit card as the only amount available on the is what you put there. This makes you much more aware of your finances as you generally don’t want too tie up large sums of cash just sitting around in MCs account and letting them collect the interest. So you usually only have a couple of hundred there for casual use and “pay” your credit card when you know more will be needed. The only downside it’s that it can take a few days for the money to transfer. This is done on purpose by the banks because it’s not a technical lack that the transfer is so slow. This slowness allows the money to sit in some bank account, collecting interest from it’s use I’m sure, by the banks and/or credit companies. How do I know this? Because in South Korea, bank transfers are the norm. Handing out bank accounts is perfectly acceptable and common practice to move money and it’s instantaneous. So, we came to Malaysia with some money on the card and the rest in cash. No, we don’t walk around with it all in our pockets. We do make use of the safe provided in the rooms we book. Mitigating any potential problems due to loss of money. Unless you are in an all-inclusive resort, you really don’t know how much you will need. You can book rooms ahead of course, search online for other peoples experiences but it’s really only clear once you are in the place you are going. We have come to the point where we really have to manage our money carefully. The “holiday honeymoon” phase is over. That’s the state where your are in a new pace, want to experience new things, so you spend. With 8 days left, we can’t afford to just spend as we please now. We haves booked all the places we need to stay now but we are just not going to do any frivolous trips. While that one day trip was nice, it also was pretty expensive, relatively speaking. 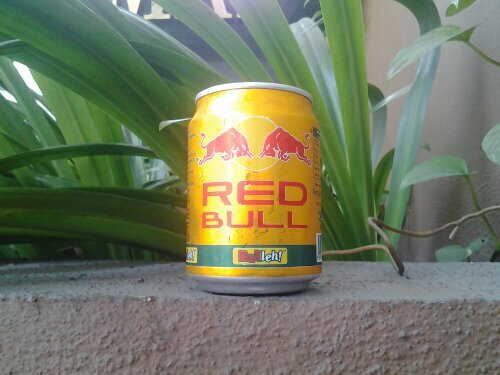 Like this funky coloured Red Bull can. I had to try it out. Tastes just fine and a cute little can too. 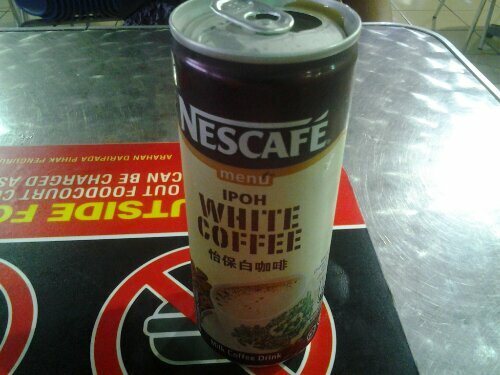 This is actually sweet, which leads me to reaffirm the belief they use condensed milk. This tasted just fine and cost 2.60 Ringgits, or about $0.83. So right now we are just killing some time before getting on a bus to Penang at 4pm. 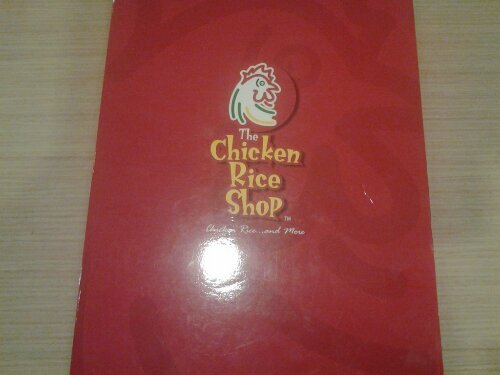 Lunch is at The Chicken Rice Shop. We got the 2 Combo Chicken deal. One chicken is Honey BBQ and the other is Crispy Roast. Total cost, 17.20 Ringgits, or about $5.50. For the cost, this was a decent meal. Shinsegae Food Co. LTD finished 2012 strongly, opening its seventh Johnny Rockets restaurant in 22 months. I have yet to be in an area where one if these places exist but I am looking forward to seeing how it stacked up and curious if they too serve “Bulgogi” burgers like McD’s. With $20,000 in private loans and a soon-to-be wife, Kim is also concerned that he won’t be able to support his new family, or his father’s faltering business. Remember when I called this little point here? Here is s nice view of how “advanced” Korea is in joining the world financial markets. I guess advanced mean more debt huh? There is a saying that I heard many, many years ago, “After all is said and done, more is said than done.”. There is no greater example of this than what you read on that link. The U.N. Keep passing these “resolutions” and yet nothing changes. Its like telling someone elses kid that they are misbehaving but they just sick their tongue out because they know they can get away with it. Its only s matter off time before some either does something stupid our that they create a false report then all hell will break lose…for a while. While I am not a fan of Watts, I do think that the US had enough of a technical edge to end it quickly. It will be quick only because there is nothing of value here (i.e. Oil) but that depends on the profiteering warmongers I guess.